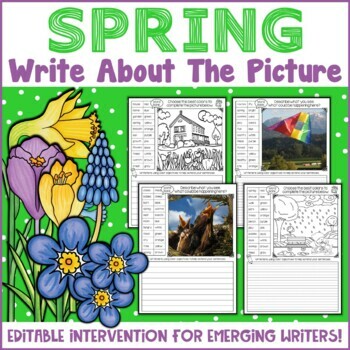 This Spring Write About The Picture has been created for emerging writers, with the goal of enabling students to achieve success with independent writing. Students have been provided with a word bank to help with spelling and encourage ideas for writing. 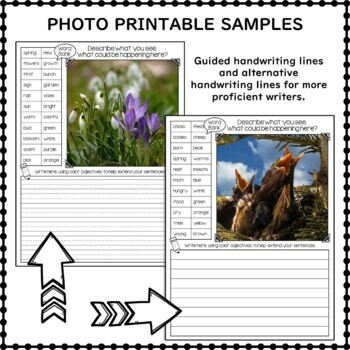 To begin to extend sentences students have also been provided with color words. 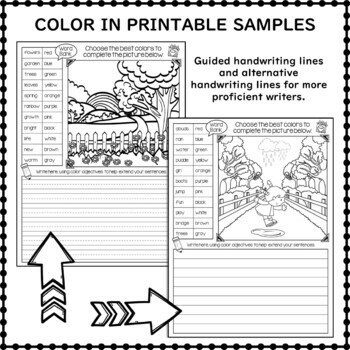 They should first color the picture with the ‘best’ color, then use the finished colored picture to enable them to begin to write longer sentences. This is the core of this resource.